Professional tennis players bio-mechanically are 95% the same at the point of contact. We will teach you the same basic fundamentals that allow pros to perform consistently day in and day out. Whether you are a touring pro, college player, junior or recreational player; no matter what your level of play, the fundamentals are all the same. There are many theories out there which often makes it difficult to know what you can use. By understanding the fact based fundamentals presented here you will be able to filter and decipher good useful information. Whether you are an enthusiast who enjoys watching tennis or a tennis parent with a child in the game. Learn the technical and tactical fundamentals which separate the best from the rest. See yourself play. Upload video footage of your strokes and/or match play. Your videos will be analyzed and you will receive ways on how you can elevate your game. Through the proper technical and tactical training you can help reduce your possibilities of unforced errors by 75%. You can miss in four places. Wide deuce, wide add, in the net and long. Drastically reduce your errors, from behind the baseline, in the net and wide on both sides; cutting out 3 of the 4 possible ways you can miss. Our goal at Tennisprostrokes is to help reduce your occurrence of injury and to help you understand and implement the basic fundamentals of stroke production. By applying the basics presented here to your practices you will not only improve your game but you will also enjoy playing even more. 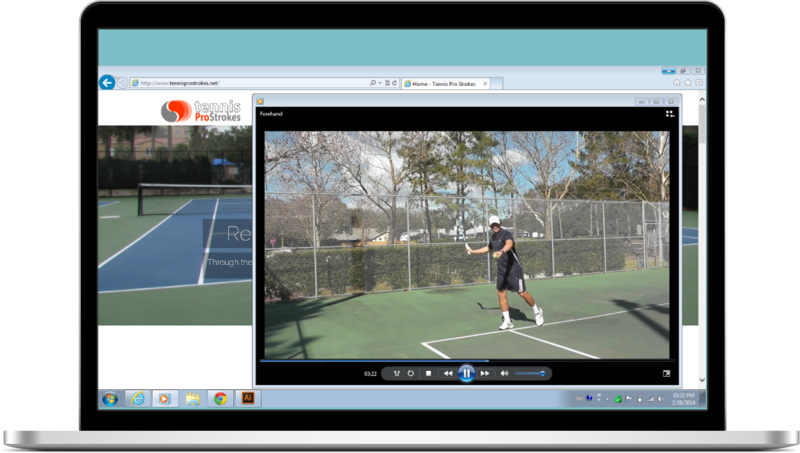 Join for free today and get access to online instructional tennis. To execute effective tactics you need the technique. Learn effective techniques to play effective strategies to exploit your opponent’s weaknesses. Most importantly, reduce your occurrence of injury. Get insights on how to spot your opponents weaknesses and learn how to practice and implement effective patterns to exploit those weaknesses. Learn strategy based on the geometry of the court. Learn the building blocks to tennis success. Understand the different stages of development. Pros weren’t born as pros with the skills which we see today. Their skills were developed in stages which led to their success. Bio-mechanically, at the point of contact, pros are 95% the same. Learn the key similarities between the pros, which are the fundamentals, which every tennis player at every level should have. Broad Strokes Portfolio of Videos on How To. Join today and gain instant access to online instructional videos on the basic fundamentals of stroke production and how to – application of strokes and strategy. 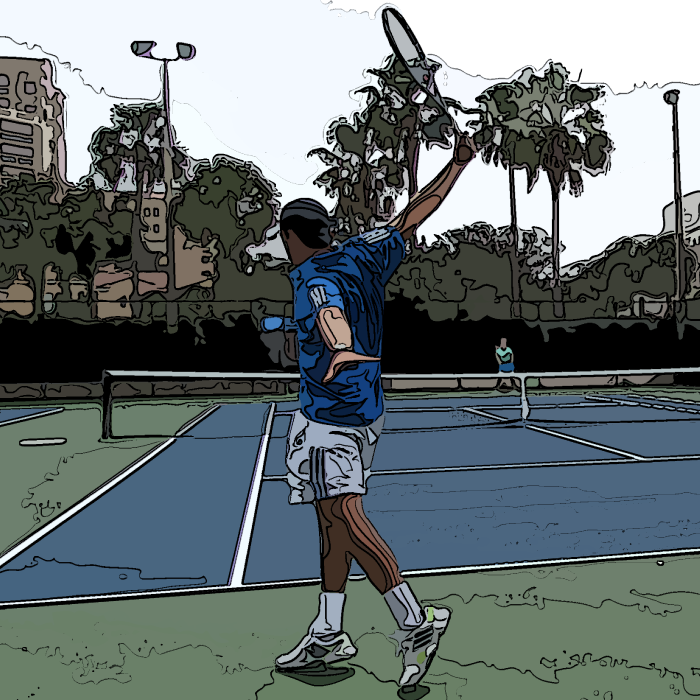 Join today and get access to online instructional tennis, as well as videos and written content of basic stroke and tactical information. Our Elite Subscription Plan gives you access to videos on how to -application of strokes and strategy.